With Rate My Data, you can easily create an online assessment that lets your customers benchmark their capabilities against a maturity or readiness model as well as peers in the industry. 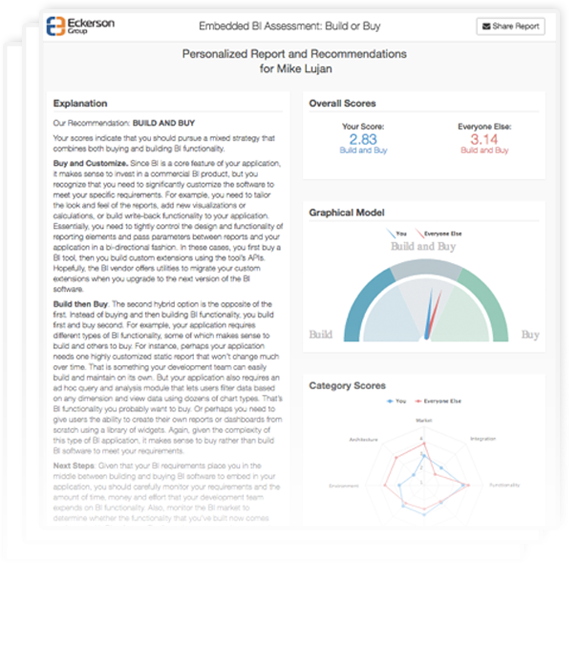 Rate My Data dynamically scores a series of questions and automatically delivers respondents a personalized benchmark report. Rate My Data creates powerful, content-rich marketing and lead generation campaigns that increase your visibility and stature with customers and prospects. You can run an assessment on any topic that lends itself to a rating or benchmark. 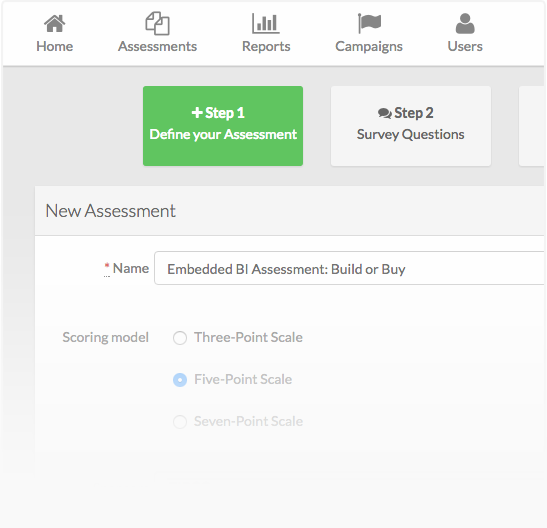 You can even embed and white label the assessment so it appears as if you are hosting it on your Web site. Recruit vendors to sponsor your assessments and allow them to download respondent leads and scores via our sponsor portal. Respondents can use our interactive dashboard to select a peer group with which to benchmark themselves, e.g. by industry, region, company size, etc. People can slice and dice the data to see exactly how they compare against any market segment and share that view with their colleagues. Why use Rate my Data? Demonstrate thought leadership by helping individuals and companies gauge their maturity, readiness, or capabilities. Create long-term, perpetually regenerating marketing campaigns. Capture highly actionable leads based on respondent strengths and weaknesses. 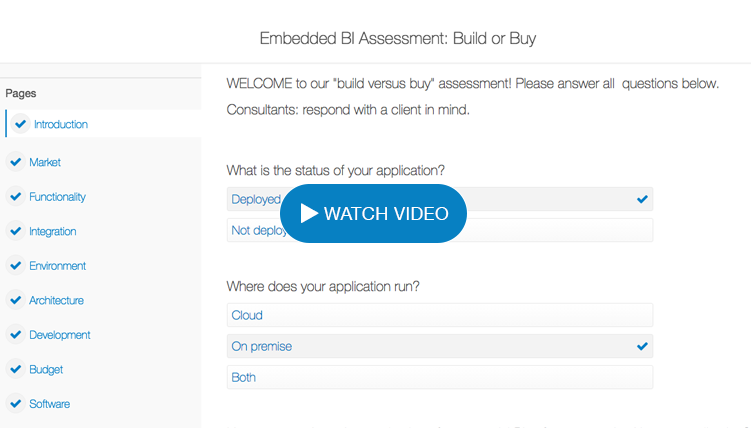 Engage customers and prospects at a deep level based on their assessment scores. Monetize assessments by selling sponsorships and leads. Initiate long-term, consultative conversations with customers who use the assessment to gauge their progress over time. Deliver market research by analyzing aggregate benchmark data. Thank you for interest in Rate my Data. We would love to work with you and create a custom online benchmark assessment for you to begin generating leads.